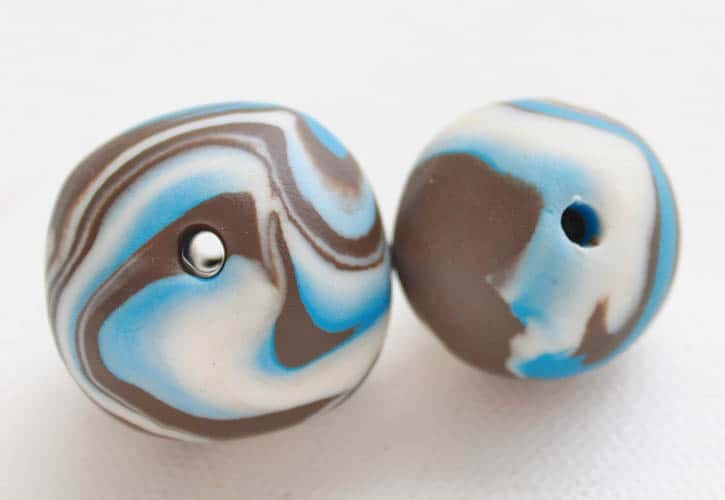 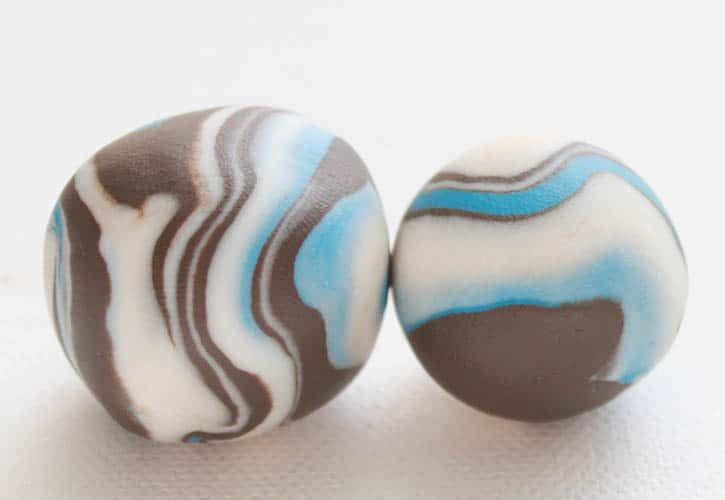 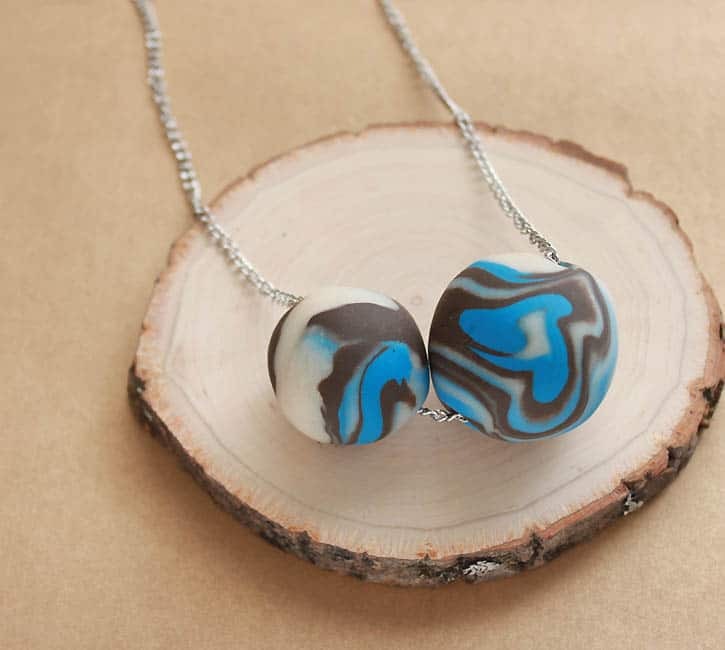 Polymer clay is really easy and fun to work with. 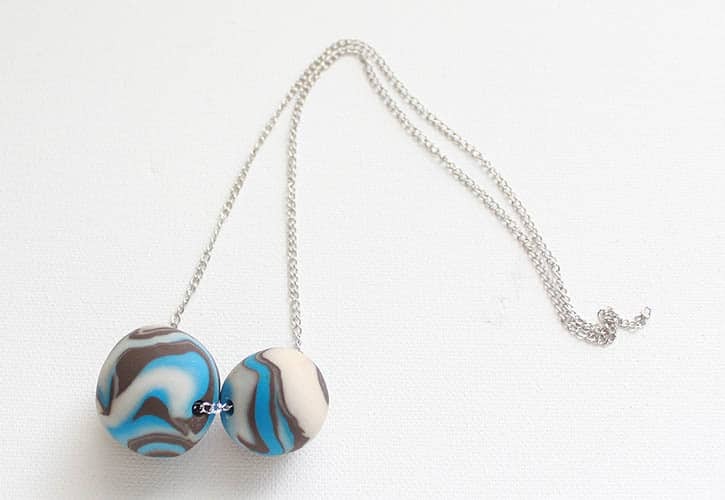 When you roll the colors together it creates a pretty, marbled effect. 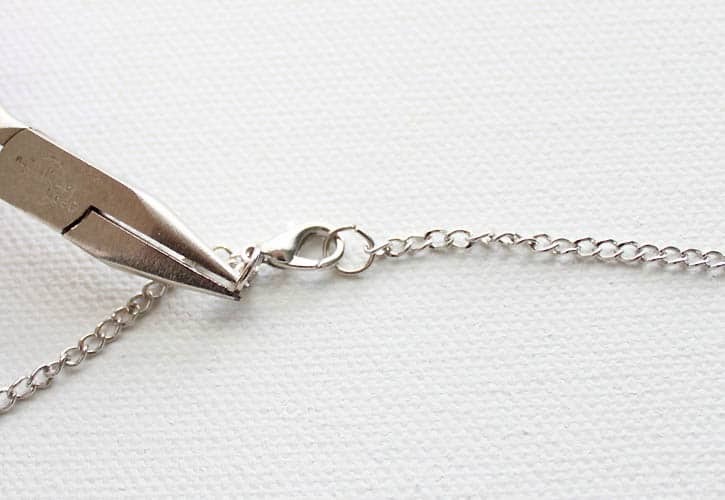 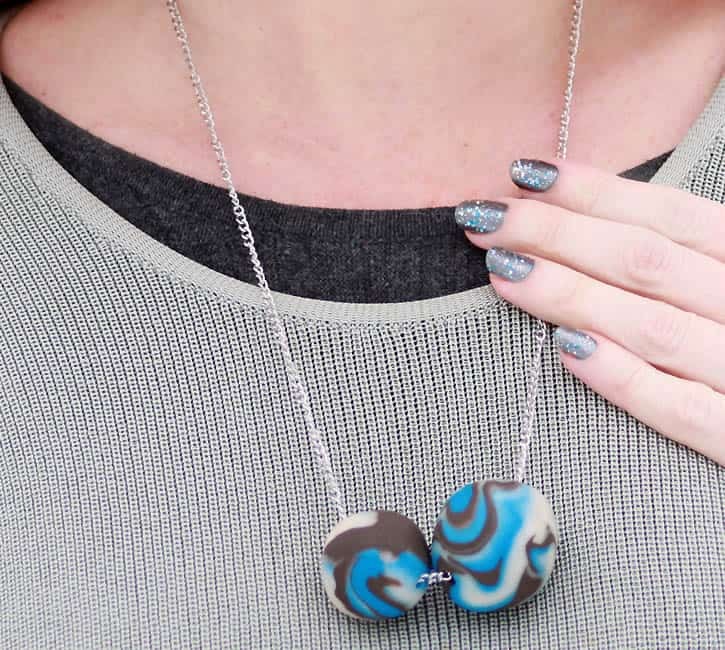 This necklace is a foolproof DIY and the color combinations are endless!